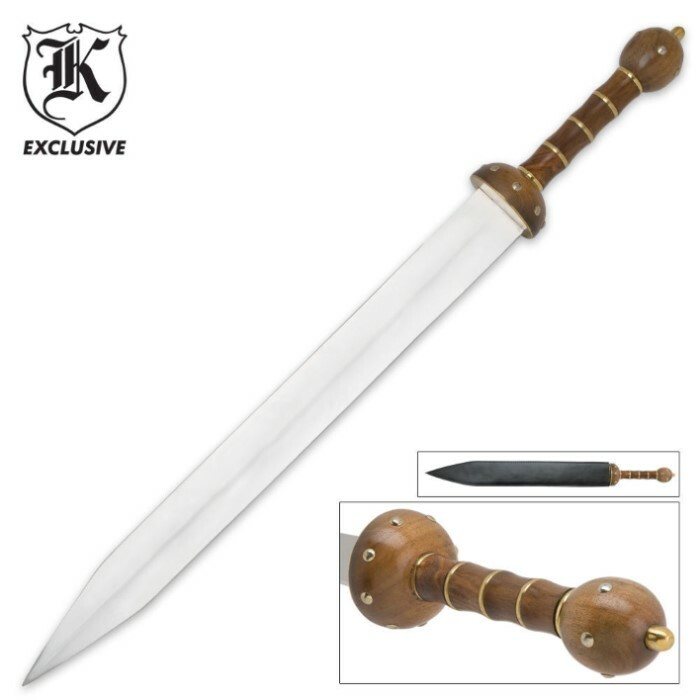 Roman Gladiator Spartan Gladius Sword and Sheath | BUDK.com - Knives & Swords At The Lowest Prices! For hundreds of years the Roman Coliseum echoed with the sounds of clashing swords and the screams of the dying and the triumphant. This sword would have been right at home in such a violent place! 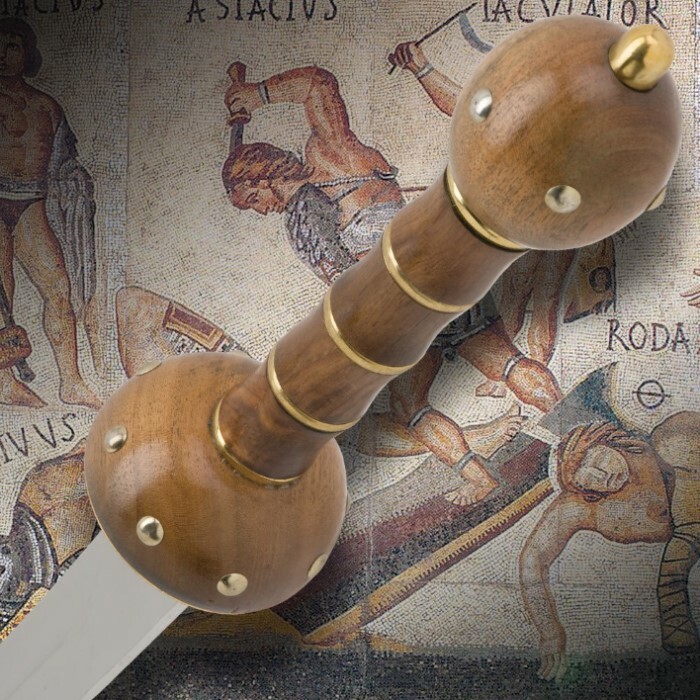 Patterned after the gladius used by Roman soldiers, this piece measures 30 3/4" overall and offers a 22 1/8" stainless steel blade with two massive blood grooves.